The second annual Poker Masters high roller series is almost here. Taking place from September 7-13 at the Aria Resort & Casino in Las Vegas, the week-long series is set to feature the best and brightest nosebleed tournament players in the poker world. The schedule kicks off with a $10,000 No Limit Hold’em Event on September 7 and ramps up to the $100,000 Main Event, a three-day tournament beginning on September 13. The 2018 version of the Poker Masters has a revamped schedule that includes a variety of buy-ins as well as the addition of new poker variants. In 2017, the Poker Masters schedule stuck to four $50,000 No Limit Hold’em tournaments with a $100,000 Main Event. This year, the schedule expands by two events and the buy-in for the first five events does not exceed $25,000. The penultimate event of the series then jumps up to $50,000 before the Main Event. With the extra events comes a chance for the players to participate in a couple of different games. Event #3, the $25,000 Pot Limit Omaha event, is the first PLO tournament to be included on the Poker Masters schedule. However, it’s Event #4 that is likely to draw the most attention. For the first time on PokerGO, fans will be able to catch a glimpse of the game that is the current darling of the high roller community as Short Deck (aka Six-Plus Poker) makes its first appearance on the felts at the Aria. Short Deck, the high-action game featured on the Triton Poker Series live-streams, removes the 2-5 cards in the deck. The result is a variation on the traditional hand rankings. In Short Deck, three of a kind is superior to straights and flushes more valuable than full houses. Event #4, the 2-day, $10,000 Short Deck NLHE event, starting on September 10, will be one to watch. Of course, Short Deck isn’t the only part of the Poker Masters that can be watched on live-stream. The entire series was basically created as content for Poker Central’s popular poker streaming platform PokerGO. Every final table, as well as select feature tables, will be available for viewing on the PokerGO website or on their mobile app. As is customary in just about every modern high roller event, a 30-second shot clock will be implemented. Players will receive five time-extension chips should they need a little more in a spot or two. Another new addition to the Poker Masters is how the title will be awarded. Last year, the winner was determined solely by total earnings over the five events. This year, the Poker Masters will be using Poker Central’s High Roller Of The Year scoring system. The Aria’s regularly running high roller series currently uses the system, developed in part by tournament player Tom Marchese. The points system gives a base amount of points for placing and cashing in an event with multipliers applied for buy-ins over $10,000. 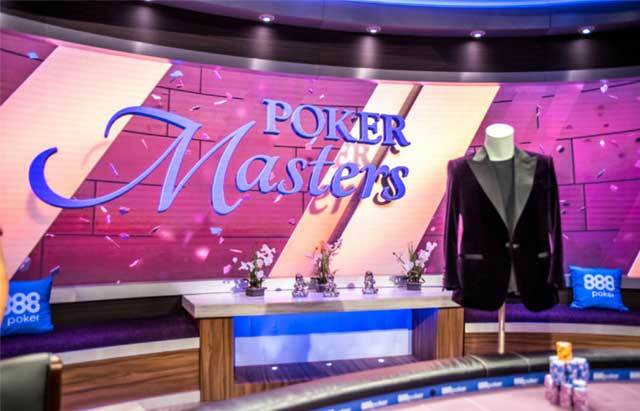 The player who accumulates the most points over the course of the series will be awarded the Poker Masters Purple Jacket. In 2017, that player was Steffan Sontheimer, the 27-year-old German pro who ended up cashing in four out of the five events for over $2.7 million. Though Sontheimer had earned a seven-figure score in his career before the Main Event of the 2017 Poker Masters, his victory in the $100,000 Main Event in 2017 marked his first career-defining victory. The $1.5 million payday helped him stave off the likes of Bryn Kenney and fellow German Fedor Holz en route to getting fitted for the Purple Jacket.